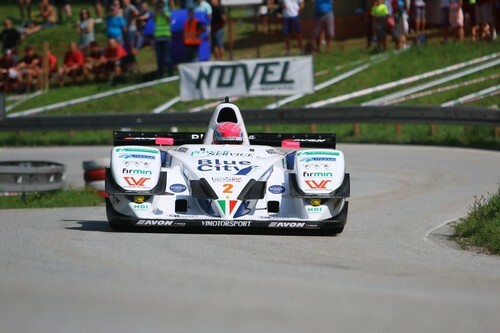 Victory and a new track record for Christian Merli in the 35th edition of the Dobšinský kopec hill climb, the 8th round of the European Hill Climb Championship. 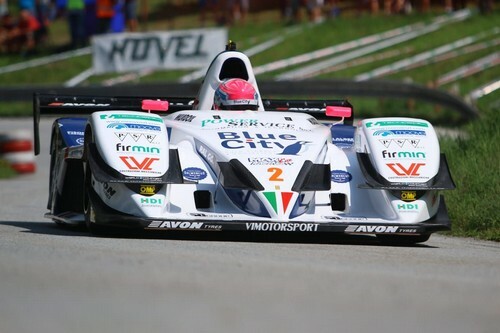 To date the Scuderia Vimotorsport driver at the wheel of the Osella FA 30 Zytek LRM has dominated five of the eight races this season and is the sole leader of the standings at 175 points. He has also claimed the seventh record in eight European championship races. 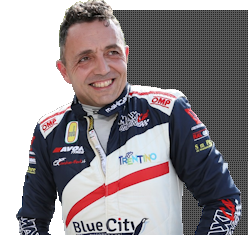 In the first practice session the Team Blue City Motorsport driver at the wheel of the Osella FA 30 Zytek LRM dominates in 2’19”914, with Simone Faggioli 4”270 behind on the 6.810 km track. A very fast hill climb, where Faggioli holds the record at 2’15”783, established in 2017. The start is immediately followed by a hairpin, then a straight with bends to be taken in high gears and a 90 degree left-hand corner. A couple of double bends and then a one-kilometre straight stretch. An extremely fast section with more double bends, and two hairpins at about one kilometre before the finish line. In the second practice run in the afternoon, Merli dominates in 2’18”372. Faggioli is 3”082 behind and Beneš with the other Osella FA 30 is 4”386 behind. Christian Merli posts the best time in 2’17”143, followed by the Czech Neveril with the Norma M20 FC 8”891 behind and Demuth from Luxembourg with the other Norma 10”090 behind. Faggioli had withdrawn due to problems with the engine of his two-seater. Christian picks up the pace and, delivering a perfect race, conquers the first step of the podium. He also sets a new track record in 2’15”425. Behind him there are Demuth and Neveril, each with a Norma M20 FC. 1st Merli (Osella FA 30 Zytek LRM) in 4’32”568, 2nd Demuth (Norma M20 FC) 17”944 behind, 3rd Neveril (Norma M20 FC) 18”589 behind. 15 April: Col Saint Pierre (France) – winner Sébastien Petit (Norma M20 FC), 22 April: Rechbergrennen (Austria) – Christian Merli (Osella FA 30), 13 May: 39th Rampa Internacional da Falperra (Portugal) – Simone Faggioli (Norma M20 FC), 20 May: 47ª Subida al Fito (Spain) – Faggioli, 3 June: Ecce Homo (Czech Republic) – Merli, 10 June: Glasbachrennen 2018 (Germany) – Merli, 24 June: Coppa Paolino Teodori (Italy) – Merli, 22 July: 35th Dobšinský kopec (Slovakia) – Merli, 29 July: Limanowa (Poland), 19 August: Course de Côte de Saint Ursanne (Switzerland), 2 September: Bistrica (Slovenia), 16 September: Buzetski Dani (Croatia).